Have you ever wondered how cool and refreshing it would have been to exercise or work out standing in the middle of a beautiful terrain or landscape may it be a park, ocean, mountain tops or magical city? Well now it's going to be possible with Paris's new floating gym, where one can enjoy the breath taking view of "The City of Lights" while running on a treadmill. This floating gym is a 20 meter long vessel which travels down the river by harvesting energy from the passengers workout. This gym was designed in collaboration with three major companies :Technogym, the leading fitness equipment manufacturer; Terreform ONE, a non-profit architecture group and URBEM, a urban regeneration institute. 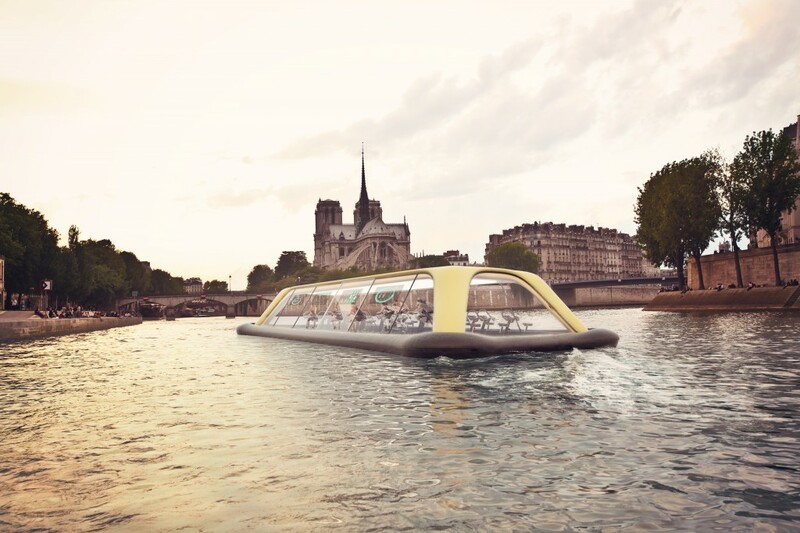 By doing exercise on the ARTIS bikes and cross trainers, people can continuously contribute to power the boat, which in turn will sail along the Seine on its route through the city, providing access to anybody who wants to use it. The augmented-reality screens installed on the boat will show guests both the quantity of energy delivered from the workout, and data about the Seine’s environmental conditions that are tracked in real time by sensors incorporated on the vessel. Encased within a transparent glass covering, open in the summer, the gym allows an extraordinary view of the urban panorama. And at night, the boat can even be used for parties and celebrations.